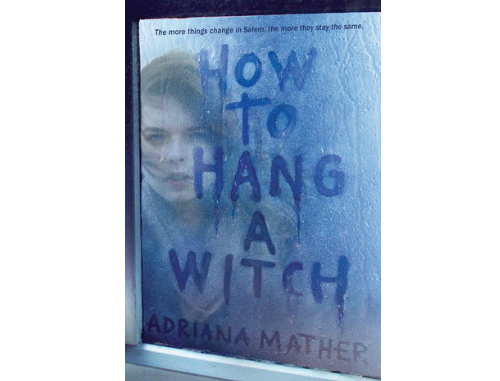 It's the Salem Witch Trials meets Mean Girls in this New York Times bestselling novel from one of the descendants of Cotton Mather, where the trials of high school start to feel like a modern-day witch hunt for a teen with all the wrong connections to Salem's past. Salem, Massachusetts, is the site of the infamous witch trials and the new home of Samantha Mather. Recently transplanted from New York City, Sam and her stepmother are not exactly welcomed with open arms. Sam is the descendant of Cotton Mather, one of the men responsible for those trials--and almost immediately, she becomes the enemy of a group of girls who call themselves the Descendants. And guess who their ancestors were? If dealing with that weren't enough, Sam also comes face to face with a real, live (well, technically dead) ghost. A handsome, angry ghost who wants Sam to stop touching his stuff. But soon Sam discovers she is at the center of a centuries-old curse affecting anyone with ties to the trials. Sam must come to terms with the ghost and find a way to work with the Descendants to stop a deadly cycle that has been going on since the first accused witch was hanged. If any town should have learned its lesson, it's Salem. But history may be about to repeat itself.